Coming to 140 West Plaza! 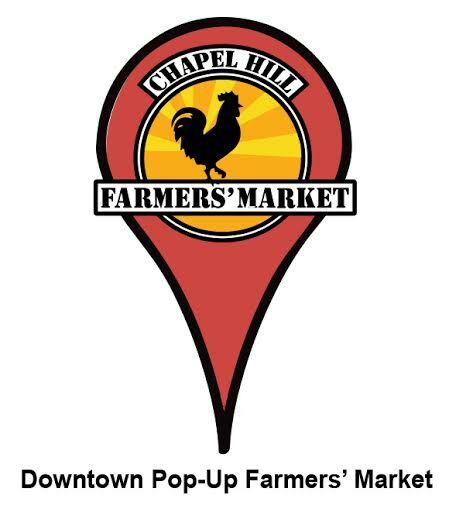 The Chapel Hill Farmers' Market, in collaboration with the Chapel Hill Downtown Partnership and the Town of Chapel Hill Parks & Recreation is delighted to announce the Downtown Pop Up Farmers' Market. Beginning July 23rd and running through September 10th, the Downtown Pop Up Market will be on the 140 West Franklin Plaza, at the intersection of Church Street and Franklin Street, on Thursdays from noon-2pm. The Downtown Pop Up Farmers' Market will feature many favorite vendors from the Chapel Hill Farmers' Market's Tuesday and Saturday markets. Products will include summer fruits and vegetables such as peaches, berries, melons, heirloom tomatoes, okra, peppers, squash, eggplant, greens, garlic, and fresh herbs as well as locally and sustainably raised pork, chicken and beef, eggs, and cut flowers, baked goods, breads, cheeses, chocolate, tea and coffee, all produced within 60 miles of Chapel Hill. The Downtown Pop Up Farmers' Market will be an exciting opportunity not only for farmers' market patrons, but for market vendors as well. Many of the vendors are excited to give Chapel Hill's vibrant community of chefs an additional opportunity during the week to pick up fresh, local produce. As always, Chapel Hill is a bike & pedestrian friendly community and encourages everyone to cycle or walk whenever attending great events. Parking is available in the 140 West Parking garage; for information on all downtown parking visit www.parkonthehill.com. Breathe easy at our events, we are smoke free.